Flying Caballos Ranch is a hidden treasure nestled in the heart of San Luis Obispo. This ranch is more than just a ranch; it's a vacation rental. It's an amazing private property for people looking for the full weekend getaway experience. It is the perfect place to host family members and extend festivities to more than just a day. Strategically located just across the road from the airport out of state guests wouldn't have to even rent a car upon arrival! What is your venue's history? The Flying Caballos Ranch is located in the rolling hills of Edna Valley, minutes from wine country and downtown San Luis Obispo, CA. Once owned by the Madonna family, our turn of the century farmhouse and 100 acre ranch combines old world artistry with modern amenities. 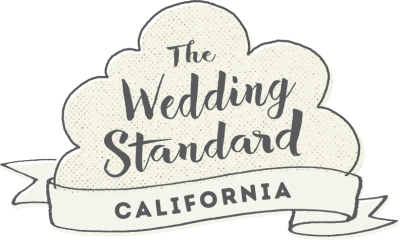 We offer couples getting married at the ranch the opportunity to celebrate their wedding over an entire weekend with overnight accommodations for up to 24 guests in four separate homes. The name Flying Caballos is a collaboration of my love of horses and airplanes. What amenities come with the venue? The expansive grounds surrounding the farmhouse offer breathtaking views of Islay Hill and Edna Valley. The backyard features two outdoor restrooms, a large wood bbq, fire pit, built-in dance floor, hanging antique lanterns, and overhead bistro lighting. Also included are tables and chairs for up to 200 guests, wine barrels, outdoor lounge furniture, trash bins, and ample onsite parking. 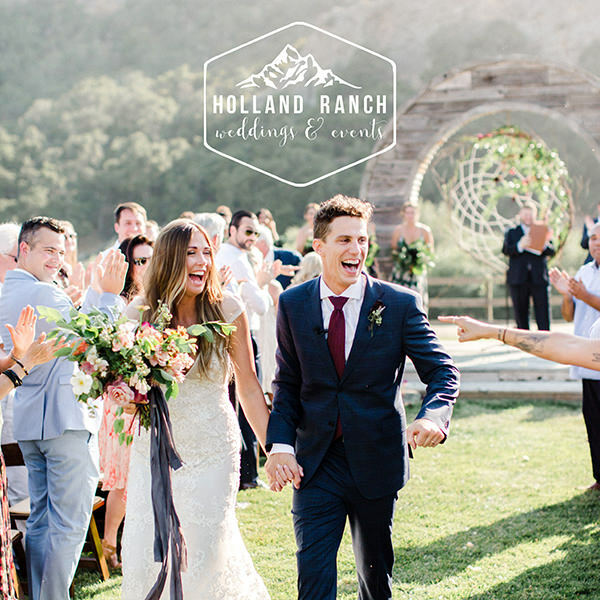 The Flying Caballos Ranch offers several ceremony and reception sites that can accommodate up to 200 guests. 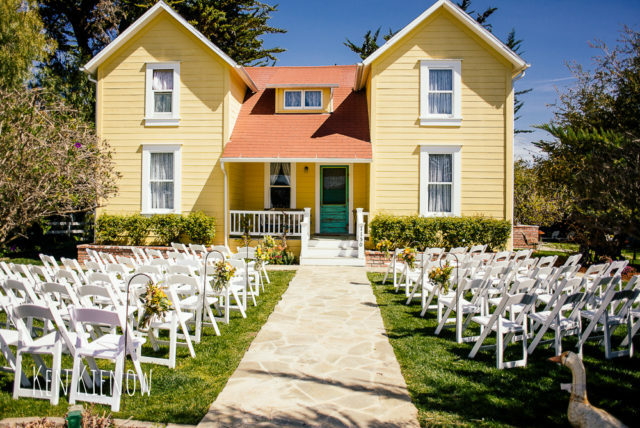 For smaller ceremonies, the front of the 1905 farmhouse creates a gorgeous and unique backdrop. For ceremonies with more than 75 guests, couples can say their vows in the back field overlooking the beautiful Edna Valley and Islay Hill. Does your venue include a day of Coordinator? 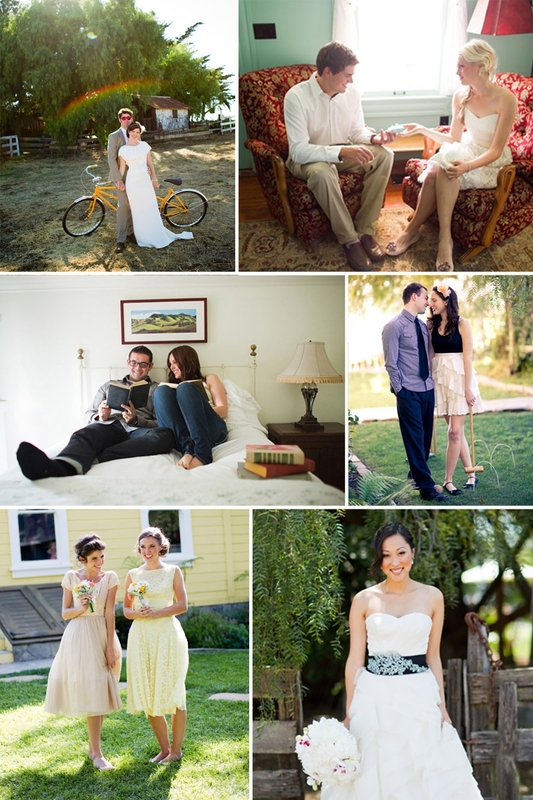 Couples may contract services with our onsite Event Coordinator for wedding coordination. We require a Day-of Coordinator for all events. Do you offer your venue for rehearsal dinners? Yes! Included in the wedding weekend package, couples may use the venue & amenities for their rehearsal dinner & farewell brunch, complimentary. The Flying Caballos Ranch features four unique and historic homes that can sleep up to 24 overnight guests during your wedding weekend. The 5-bedroom Farmhouse, 2-bedroom Guesthouse, Cozy Cottage Studio, and Water Tower Honeymoon Suite. 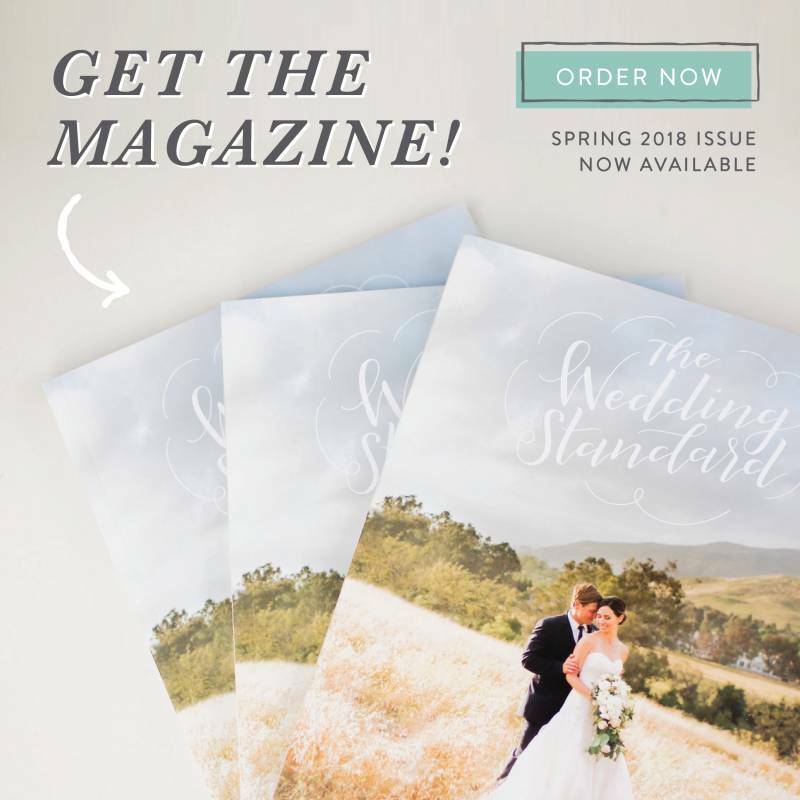 Peak Season wedding packages include a 3-night stay in all of the homes and Off Season wedding packages include a 2-night stay. What makes your ranch such a unique place? The ranch is completely unique. There is no other place on the Central Coast that offers people a completely private setting where family and friends can not only have an event, but also includes several private overnight accommodations.